A concept version of the new Volkswagen SUV to be built at its plant in Tennessee. 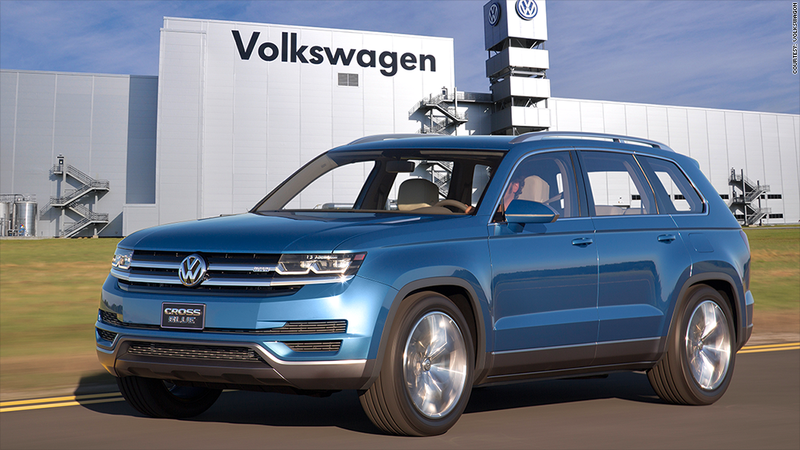 Volkswagen is nearly doubling the employment at its Chattanooga, Tenn. plant, bringing a new SUV and 2,000 jobs to its only U.S. factory. The German automaker says it is investing $600 million in the plant to build the seven-passenger vehicle by the end of 2016. The plant, which opened in 2011, has about 2,400 workers currently. It has become the center of the United Auto Workers' efforts to organize workers at plants built in the South by foreign automakers. After narrowly losing a vote to represent workers at the plant in February, the UAW announced last week it would still open a chapter at the plant who wanted to join the union on a voluntary basis. Anti-union politicians in the South have opposed any union organization. VW says the new vehicle is a key to its plans to sell 800,000 cars in the United States by 2018, nearly double their U.S. sales volume last year. "The fact that the new line is being announced four days after the rollout of UAW Local 42 in Chattanooga reinforces the consensus that the UAW has reached with the company.," said UAW Secretary-Treasurer Gary Casteel. The union opponents criticized VW for being too willing to recognize the union. Unlike most employers who fight against union representation of its work force, VW was willing to accept a union out of a desire to set up "works councils" at the plant which can come up with methods to make the plant more efficient. U.S. labor law makes establishing a works council difficult without union representation for its workers. Even with the union's latest move to represent VW workers, the state agreed to contribute a $178 million in state funds for site development and preparation as well as training new employees.